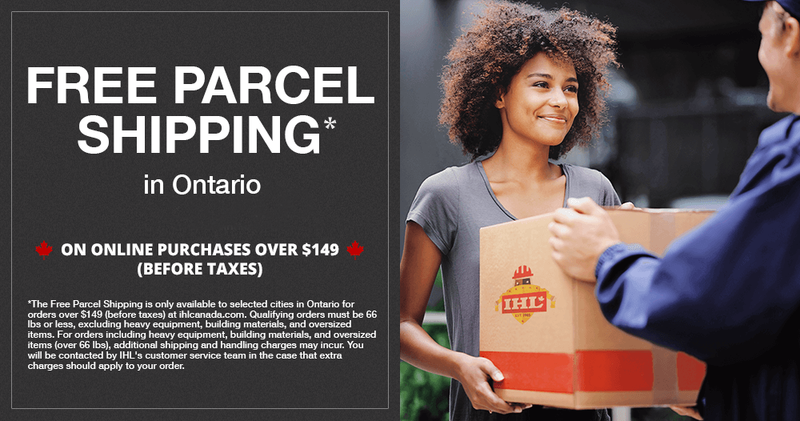 Please enter your postal code to see if Free Parcel Shipping is available to your address in Ontario. Sorry, Free Shipping is not yet available in your area. Not to worry! You can still shop Power Tools, Hand Tools, Fasteners and more Brands you trust, and ship by Canada Post, UPS, or Pick Up In-Store. Congratulations! Free Shipping is available in your area. Enjoy shopping!